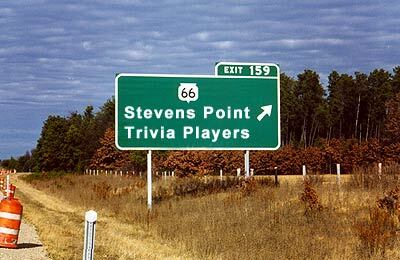 The World's Largest Trivia Contest is played every April in Stevens Point, Wisconsin. Read how the contest is played. 450 teams and 11,000 people play this contest; Do you have questions about the contest? Try our Frequently Asked Questions page to learn more. Copyright � 1997-2018 Dan Olson. All Rights Reserved.